Not quite Rockin’ & Rollin’ yet! (Read this fast and loud!) I’m Rockin’ Rochelle coming to you from BFYP-FM (Blast from Your Past-Full Moon), broadcasting to the world from sunny Cal-i-forn-i-A! 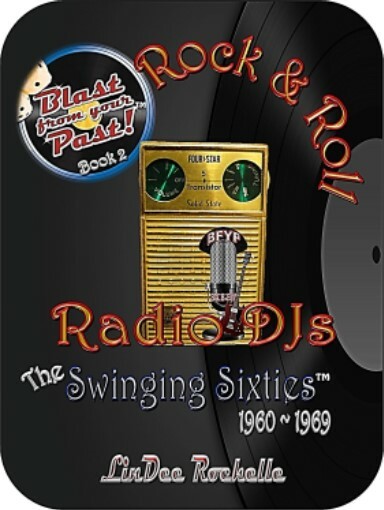 We’re spreading music and mayhem throughout the land, with lively behind-the-mic tales of your favorite Rock & Roll Radio DJs from yesteryear! Poodle skirts, saddle shoes, bobby sox and ducktail hair, hiphuggers and peace signs – we’re ready to ROCK! Let’s go trippin’ down mem’ry lane and check out those wild-n-crazy guys and gals who kissed your ears with Rock & Roll music for the souuulllll! First up for your platter-spinning pleasure … a real Midwest Rock & Roll DJ treasure. Ron Riley … or did you know him as “Ron ‘Ringo’ Riley”? How about “Smiley Riley”? 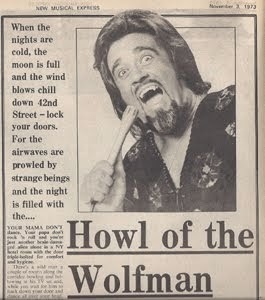 With stints at WLS-Chicago, Milwaukee’s WOKY (pronounced “walky”), and even his own Bowling for Dollars TV show, Ron never wanted to be anything other than a deejay. “Come on-a My House,” Rosie Clooney crooned to the impressionable, adolescent teen. It was the early 1950s and Ron Riley headed to downtown Chicago often, eager to watch the guys in the fishbowl radio studios spin Rosie’s platters. Young Ron realized that even the disc jockeys didn’t know what to do with Rock & Roll. How do you introduce something so feisty and unpredictable to a radio world previously ruled by big bands, boozy ballads and smooth talkin’ gentleman announcers? Smooth and sophisticated Pat Boone crooned his version of Fats Domino’s “Ain’t That a Shame”; and originally charted by The Chords, “Sh-Boom” found wide acclaim covered by The Crew Cuts, a creamy and dreamy doo-wop group from Canada. About this time, mid-teen Ron swung his life plan into action and won a contest that put him behind the mic to report his high school’s news on-air at WKRS in Waukegan, Illinois. “I used to go there once a week with sweaty palms and talk about high school,” Ron admitted. Whoohoo! Ron’s first true taste of his future. Sweaty palms and all. Change was comin’ – he was hooked on radio. 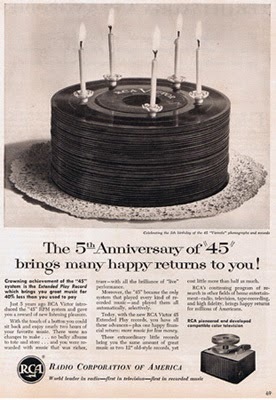 By the time 45rpm records turned five years old in 1954, under-twenty Ron had his first radio job under his belt and Doris Day’s “Secret Love” poured from the mainstream radio stations; but The Crew Cut’s “Sh-Boom,” often credited with jump-starting Rock & Roll, was still a few months away from hitting the Billboard charts. Do you recall your first real job? You know, the one with an actual paycheck? “I have this [framed letter] hanging on my studio wall from WLBK, DeKalb, Illinois,” said Ron. A dollar an hour?! And ah yes, remember when we used to be paid for overtime?? But that’s another book – about forty years of rants-and-raves. Do you know what one of the most infectious human characteristics is that can literally break up a roomful of stuffed shirts? Someone with the giggles. “I used to get goofy with the giggles, between myself and the engineers (at WKRS),” Ron admitted. “Once I started, I couldn’t stop giggling. It just hurt my stomach, I’d giggle so hard, and it always seemed to happen when I was doing the local news.” Musta been lots of those stupid-criminal stories. Not a laughing matter, but way more fun! As exasperating as that may have been for Mr. Kirby, it wasn’t Ron’s giggles that bounced him off the air at WKRS. Believe it or not, giggles work, and one Saturday Polka Ron received a phone call from the venerable Jerry Bartell, of the infamous Bartell Broadcasting Group. Driving between Chicago and Milwaukee (he owned WOKY in Milwaukee – I just love saying that) he bounced round the car radio dial and found Ron. Ron began gushing to Jerry about how he loved WOKY, to which Jerry replied, “Oh, this isn’t for my station in Milwaukee. It’s for my station in Appleton, Wisconsin.” Can’t you just see Ron’s smile drop to the floor? Disappointment aside, it proved to be a proverbial foot in the door. 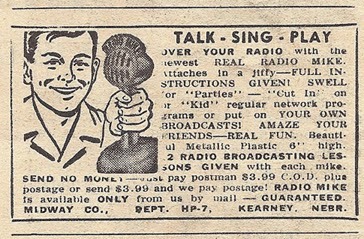 Jerry offered Ron the morning show and “your first chance to be an ‘air personality’” – what – “Polka Ron” has no personality? He couldn’t pack everything in his old Ford fast enough, and headed for WAPL in Appleton – Happy Rapple they called it. “The smile at the top of your dial.” Oh, we were soooo sappy back then. Did I say “smile”? Ron nearly backed out of the gig on one station detail. “I got over there and they said, ‘We’re gonna call you ‘Smiley Riley.’” Ron’s choking sounds as he recalled the memory revealed his thoughts. “At that time,” said Ron with-an-Italian-last-name, “those ethnic names were not sweet. They wanted something that rhymed really neat …” So, just how did Ron Riley get his last name? The program director was inspired, said Ron; he mimicked the long-ago voice, “Well, I was out fishin’ last weekend and on the way back, I was thinking, I was fishin’ at Lake Riley …” Today, they’d have done a market research, polled a thousand listeners, and then offered up the top five favorites as a highly promoted contest. 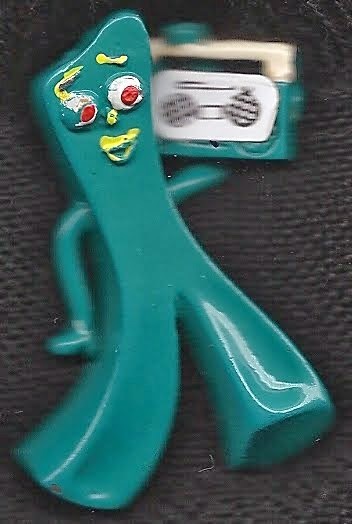 Ron graciously accepted his new on-air alias, broadcasting as “Smiley Riley” – after all, it was his first “real” DJ job. Ya gotta start somewhere! That always has a nice ring to it, doesn’t it? “Double your salary.” No one has ever told me that. Sigh. So it was a no-brainer for Ron … well, except for one, little, teensy-weensy issue. As much as he was dyin’ to get to Milwaukee, he dug his heels in on “Smiley Riley.” They decided he was worth the risk and let him use whatever name he decided on – he became forevermore, Ron Riley. Where did Ron wander in the 1960s and ‘70s? Catch his next gig as DJ salaries start rising with the Rock & Roll decibel, in Book 2 (in progress), the full-throttle 25-year edition of the BFYP series. Hey Ron, just wondering when you were at WJJD in 1963 did you close your show with 'Goodnight My Love' By Ray Peterson...those are great times and great memories from the best times of my lilfe.